Kuala Lumpur, January, 2019 – If you have ever had to make the tough choice between fabric softness or long-lasting fragrance when it comes to your fabric softener, TOP has combined the best of both qualities into its TOP Plush Ultra Concentrated Fabric Conditioner. TOP, the NO.1 detergent brand in Malaysia is cementing its position as the Total Laundry Expert with the introduction of TOP Plush Ultra Concentrated Fabric Conditioner that provides 100 days’ of softness and fragrance for everyday plushness and alluring fragrance, from wash to wash. The entry of TOP Plush has created a new category of laundry care category of fabric conditioner in Malaysia. 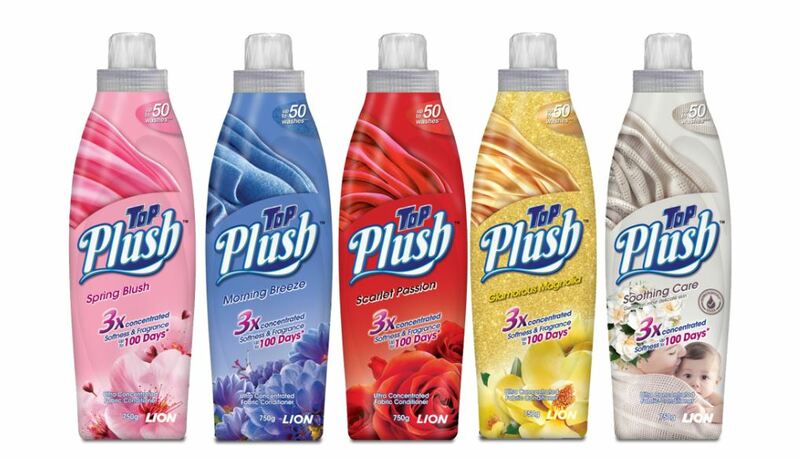 TOP Plush is formulated with advanced laundry technology from Lion Corporation, Japan. It is 3 times more concentrated than ordinary fabric softeners. One small cap full is enough to enjoy the long lasting softness and fragrance for regular laundry as well as seasonal laundry items such as curtains and bedding for up to 100 days! The 750gm bottle size can last up to 50 washes while the 600gm refill pack can last up to 40 washes. The ultra concentrated formula results in a sleekly compact bottle that is lightweight, easy to carry and to store yet delivers luxurious plushness and fragrance. TOP Plush Ultra Concentrated Fabric Conditioner uses breakthrough FibreTech and Scent Micropod fabric conditioning technology from Japan that can keep laundered fabrics softer, plusher and scented for up to 100 days. TOP Plush FibreTech technology conditions and softens all fabric types to deliver custom-made softness that leaves clothes fluffy soft while helping to reduce wear and tear on fabric fibres thus prolonging the life and use of fabrics. This fabric conditioning technology helps to smoothen wrinkles for easier ironing, freeing up time for other pursuits including time with family and friends. The Scent Micropods fabric conditioning technology in TOP Plush infuses fresh scents into fabric fibres through touch-activated encapsulated fresh scents that lasts up to 100 days from wash to wash. It is ideal for daily wear and special occasion wear as well as less frequently laundered items such as bulky bedding, chair covers, rugs and curtains. Fragrance should never be underestimated, as it has the power to build confidence, improve moods and bring people together with studies showing that fresh smelling scents can positively impact daily living. Mood Media also reports that there is a 40 percent improvement in mood after being exposed to pleasant scents. TOP Plush can boost your mood by making washed fabrics more comfortable, luxurious in texture and alluring scent with up to 100 days. Besides that, TOP Plush gives you other extra benefits such as 99.9% anti-bacterial, malodour control, smoothens out wrinkles for easier ironing, reduce static cling, shape retention and with plant-based ingredients that are kinder to the environment. Available in five breath-taking scents in coloured variants to suit the different needs of consumers from the feminine softness of the pink Spring Blush, the fresh confidence of the blue Morning Breeze, the tender loving care of baby skin-safe Soothing Care in white, the elegance of Glamourous Magnolia in yellow, and the romantic allure of Scarlet Passion in red. Southern Lion Sdn Bhd Marketing Manager (Household Products Dept), Mr Leroy Yoon said that TOP Plush Ultra concentrated fabric conditioner was developed in line with TOP’s brand promise of Innovation for Better Living. “TOP is recognized for bringing breakthrough innovations to fit our consumers’ needs to make the laundry experience and its results as simple, as fresh, as hygienic, and now as soft and scented as it can be. With the introduction of TOP Plush we have a full suite of laundry solutions to offer consumers that has them covered for all their laundry needs. With just one small cap, TOP Plush gives families luxurious everyday softness and the added freshness fragrance that lasts up to 100 days,” said Mr Leloy. TOP Plush is available at retailers nationwide with the 750ml bottle at the recommended selling price of RM11.25 (WM) & RM 12.10 (EM) per bottle, and the 600ml refill pack priced at RM8.00 (WM) & RM8.65 (EM) per pack. Spring Blush Feminine softness of the pink Spring Blush which gives you the freshness to be young and energetic! Morning Breeze Start up your day with fresh & confidence scent. Suitable for active lifestyle people to keep them fresh and smell good all day long. Scarlet Passion Showering yourself with the romance rose scent all day long. Feeling the love and pampering yourself more in the alluring rose smell. Glamorous Magnolia Unleash your luxurious and fashion sense with Glamorous Magnolia. You will be smelling as great as wearing an expensive perfume all day long. Soothing Care Worry free for sensitive skin users who want to enjoy the softness on fabric as this variant is dermatologically tested. You can do your laundry now with your little one together to enjoy the fluffiness of fabric. Southern Lion Sdn Bhd is a 50/50 joint venture company between Lam Soon (M) Bhd and LION CORPORATION, Japan. It continuously improves the quality of life of Malaysia consumers by offering household products of innovative concepts at affordable prices ranged from fabric care, home care and beauty care to oral care. Southern Lion is the first detergent manufacturer to be ISO 9001 certified. 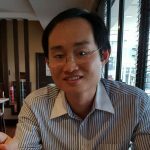 Previous articleUsher in the ONG-some Chinese New Year with 11street!